We named our pink scarf after an amazing animal: A gracious bird, standing strong on one leg in the cold water. Did you know that they stand on one leg, because standing on both legs would make them lose too much body temperature? This animal rocks thermoregulation as perfectly as our merino woolen scarfs, cushions and blankets will on you. Their pinkness persuades the world. The brighter the flamingo is colored, the healthier it is. Their feathers become more colorful when eating: their body takes a certain bacteria from food to color their feathers. The flamingo’s feathers can change from colors on a spectrum between an unhealthy grey-pink and a super healthy bold pink. Which makes our sweet pink knit super healthy and ready to persuade your wardrobe. Kyra from Kyra’s kitchen wrote a refreshing article about a sustainable wardrobe. She styled an outfit including items of brands that are conscious, in the broadest sense of the term. Reading her interesting words, makes us proud that she included our Flamingo’s Beak scarf in her outfit. Besides, at Winter in Holland we share the same opinion. Winter in Holland supports a slow fashion economy where you only want to use quality products that will last notably longer than fast-fashion items. You will use less items throughout life, which means that you will use them longer. This lifestyle pushes you to choose the items that really suits your spirit. Get more conscious of your buying behavior and, in the meantime, discover your style. 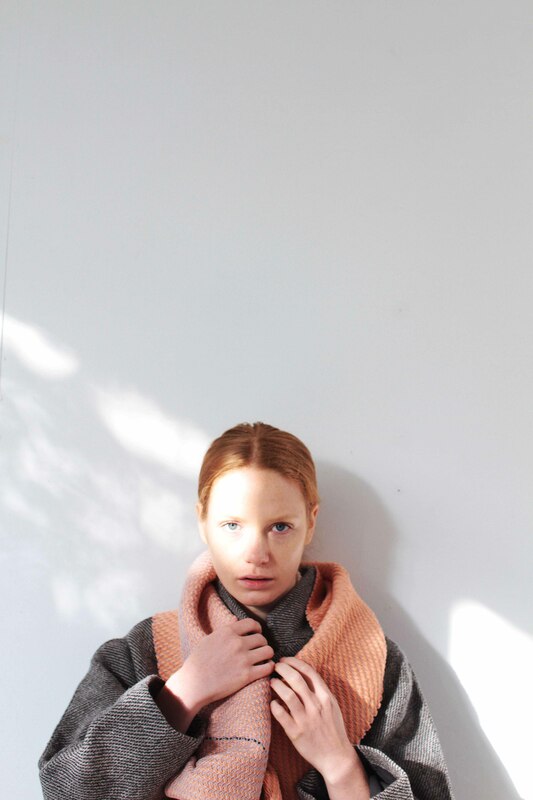 Also our Flamingo’s Beak knits are handknitted by our crafstwomen under our ‘Socially made in Amsterdam’ label. These products are made with care and eye for detail. Check all our Flamingo’s Beak products here.